Wow, Aman.... your templates are WONDERFUL. 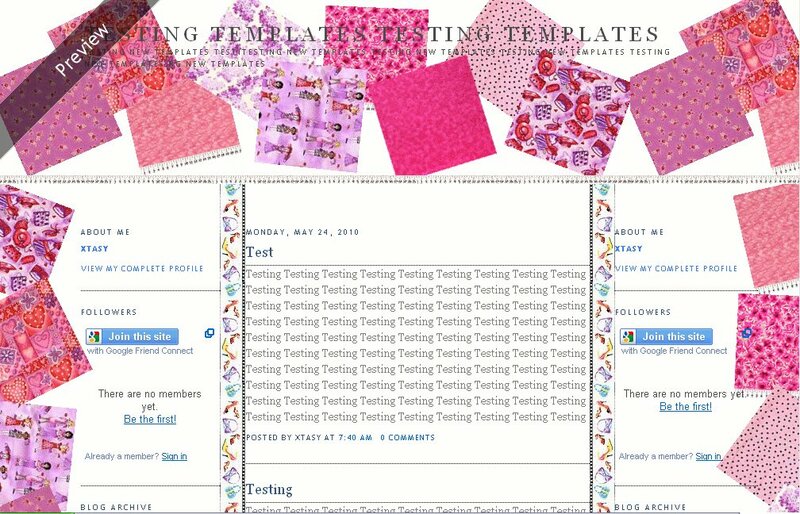 I would love to have the Quilt template code. I'm a needleworker, and this is great! hi, i love this template!! would love to have it on my blog... please do email to me the code for blogger at di.islin@gmail.com, thanks loads! i love the work on this one. and i am using this template for my blog. you can check it out. and also using the pure template for my poetry blog. thanks a lot! I used this for my mom's blog, she loves it. I'd like one about cross stitch, too, but I like this one.I'd like one that is about needlework. I also knit. I do like this template, though. omg! I'm pretty sure this is the template I'll be using next. You rock! i've just taken an interest in patchwork and this is great. would you send me the code please? Just stumbled across this template which I would love to use on my blog. Does it work with Firefox? If so, could you send me the code please. I love this template cause i work on crafts. So it would be very nice if you can make one including beads and knitting...That could be great!!! But i have a problem when uploading and coping codes...The thing is that it has different images, so how can i replace them all?? ?I would love to receive your answer ..BTW You are great doing this!!! Very helpful..Thaousands of thanks! Hola me gusta la plantilla , la quiero.Como tengo que hacer para tenerla? what a great template you have! hi could you send me the code? Hai. I'm trying to use this skin, but i can't. I don't think my blog compatible with this skin. Can you help me? Hi, I love this template! Could you send me the code at stacygibbs122@gmail.com. Thanks! Hello can i have the code of this pls?? heres my email add swennerholm@yahoo.com..I really like this background pls pls pls mail the code to me more thanks..
icanbeesweet@yahoo.com for the quilt background. Thank you. Your backgrounds are cute. wow your backgrounds and templates are just awesome!! can you please send the code to juwayriyyah500@yahoo.com for this one? thanks so much!! heyy you...i love this layout!! but im very sad because i do not know how to change the code and everything..
nice layouts !!! can give me de code ? Does this work in Firefox? 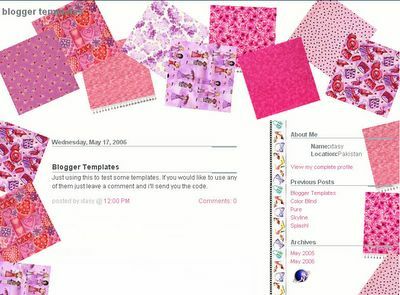 I want to try this template to my Blog. Wow, i love it! It's amazing! Can you please send me the code to use it on my blogger? I love this layout! I've tried to paste it into my blog, it seems working on the header only.. what about the body? Did I miss something? I've upload the pics into my photobucket & replace the links..
hey you! you are so creative ... i like this templates very much ..
email this layout code to me at scarlet_polkadot@yahoo.com. thanks.. i will appriciate that.. I downloaded the code and liked the conained gifs, but it does not work, any ideas? can u email me d code? can u send me the code? can i have the code to? Can I have the code to this as well? It's really cute, ah ha ha. i love this..can u send me the code?just wanna ask if i can change the pic to my pic? nice job! i love this layout..
how can I get the code of this one? 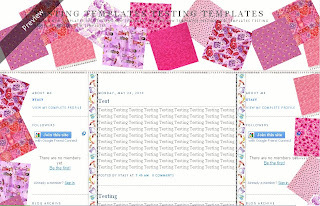 Quilt template now available in 3 column layout. would you send the code ??? plz use the Get Template link to download the code or provide your email address if you want me to send you the code.